What’s better than laying back, relaxing and enjoying the latest movies with family and friends? Paying nothing to watch free streaming movies online! Nowadays, it’s certainly possible to stream new movies online free with no sign up. All you need is a computer, a stable internet connection and a comfortable chair, sofa or bed. There’s no need to register, participate in surveys or wait out endless ads and pop-ups just to enjoy the latest movies online. In our list of best free movie streaming sites 2019, you simply open a browser, type in the free movie and TV streaming address, find the movie you want to watch and press the Play button. All the listed sites have not just the US-based shows, but also international offerings such as UK, Korean and Indian Bollywood blockbuster hits. Check out these top 10 websites you can use right now to watch new release movies online for free without signing up. SolarMoviez is a no-frills, free streaming movie website that sports a clean, simple yet intuitive interface. You’ll be surprised at how easy it is to find the latest movies you want to watch because of the Google-style search engine in place. If you’re the type who wants to see lists and categories, no problem- just head to the bottom of the page for the “classic” version and you’ll be treated to a smorgasbord of viewing options. Solarmoviez puts out the latest and greatest in front so you won’t have to navigate deeper into the menu to watch free streaming movies online. You can filter by helpful categories such as Genre, Country and IMDB rating and read up on the synopsis before clicking that Play button. Children will definitely love the selection of Disney movies available on site, as well as the Recommended section that displays movies and TV shows that are similar to the one you’ve just watched. The built-in web player has a number of viewing options to enhance your experience. Aside from the Play, Auto Next and Full Screen buttons, you can navigate to any part of the movie via the Seek option. Fans of GO Movies will be happy to know that there’s a better, upgraded version of their favorite streaming platform. In GOMovies 2.0, you can watch free movie streaming without signing up and watch films that are still showing in theaters in crystal clear, high resolution! GOMovies 2.0 lays out their movie and TV content, arranged by Trending, Now Playing, Genre, Top IMDB and Country. Discerning users can explore deeper and have the titles arranged in an A to Z format. As far as the movie experience is concerned, you’ll be sure to have a wonderful time. You can watch without any buffering as long as you have a stable internet connection. Watching a TV series with multiple seasons? Just scroll down to the episodes or jump to the season, then resume watching. 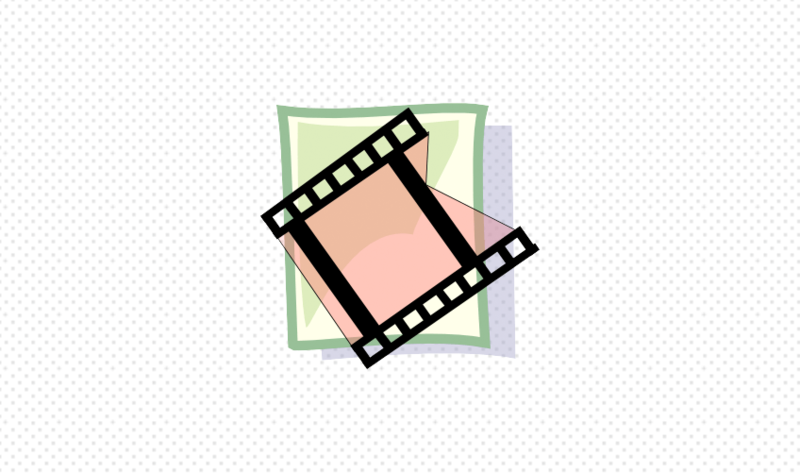 Much like other free movie sites, GOMovies 2.0 features theatre-like quality and CC options. TV and movie marathoners call GOMovies their home as it has a speed up feature that can skip through the boring parts and make binge-watching better than ever. GoMovies is a solid choice that won’t let you down when you need to pass the time or when you’re looking for the latest movies on the web. Go to Fmovies if you want to experience seamless movie watching from your mobile phone, computer or smart TV. You won’t ever feel like you need to do work before viewing the latest movies as the platform doesn’t require sign ups, registrations or monthly payments. It’s one of the best sites out there for individuals who just want to watch movies straight away. Fmovies puts all their best movies at the main section. You can also choose from selections arranged by Most Favorited, Hot This Month, Hot This Week, Recommended and more. As soon as you click on the movie, a large player takes up most of the screen and starts the content for you right away. Want to watch on an even bigger screen? Click on the “Cast” and stream the free movie straight to your Chromecast-enabled TV. For hands-free viewing you can turn on Auto Play and Full Screen just below the video. Enhance your movie experience and head on to the Comments section at the bottom of each movie. You can start reading the comments made by fellow Fmovies users or add one of your own. You can even share the link of the movie or the series via social network and help those who might be interested. Chances are, if the movie is already out on theaters it will be on Fmovies. Yes! Movies combines the convenience of being able to watch free streaming movies online with listicles, or list-type articles that supercharge your free movie experience. 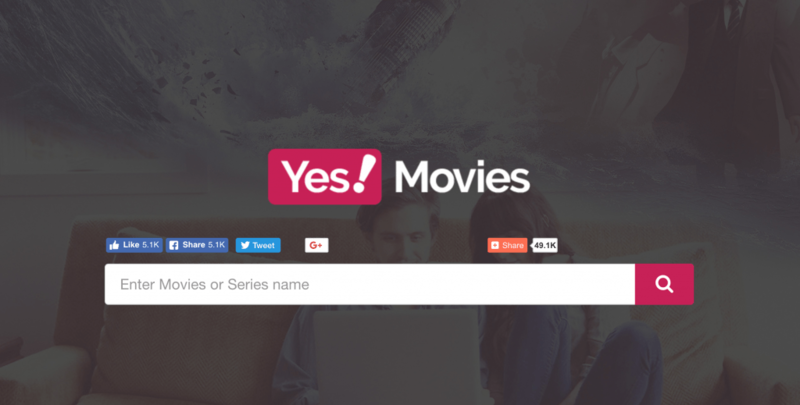 At the heart of Yesmovies is a simple, intuitive interface that gives you the latest titles without pesky registrations and fees. Users can spend as much time looking for their next fix in the articles they’re interested in. For example, if you’re a fan of science fiction, then a perfect weekend will consist of binge-watching all the movies in the 5 Best Movies of 2017. The built-in web player performs just as expected. Users will be able to change playback speed, go back in 10-second increments and upscale video quality as needed. Moreover, there’s the turn off light feature (which makes everything else dark) or full screen mode for those who want to turn their screen into a mini movie theater. Browse the Similar Titles for the next content or head down to the Comments and discuss what you watched with fellow Yes! Movies users. You’ll want to bookmark the site and return time and again as it’s constantly updated with the latest and most popular films. Is it really possible to watch new release movies online free with no sign-ups? AZMovies is a living and breathing testament to the wonderful world of the internet. Inside, you can pick out the available movies, click on it and sit back and watch full movies without advertisements, pop-ups and registration. Best of all, you ever won’t have to pay to watch the best 2019 movies ever again! AZMovies show its full content, divided into the usual categories like Featured, Recently Added, Year and Genre. Users can delve down into the site and visit AZMovies’ Reddit page. Inside, you can view updates, posts and featured content, and even comment on those if you have a Reddit account. There are plenty of neat features that round out the entire movie-watching experience, which really adds to the novelty of seeing your favorite and most-anticipated films online. The native web video player is trimmed down but it performs admirably. There’s hardly buffering or lag to mar your viewing experience. English subtitles are automatically displayed, which you can disable if you want to focus in on the action or the actor’s faces. All in all, AZMovies is a no-frills free movie streaming platform you can visit anytime you’re bored or looking for free entertainment. Visiting Putlocker will make you feel like you’ve stepped into an online directory, but don’t let that fool you. This site is popular among online denizens for a good reason- everything in there is free and you won’t have to sign up to get unlimited movie and TV show access! Don’t know where to start? Go to the Trending section to see what’s popular as of the moment. Or, you can strike out on your own and go to Popular, Latest or choose one of your favorites and see the Recommended film selections below. The site allows you to view content from filters such as Release Year, Genre and others. Putlockers has even put in a GDrive server if you want to stream files via reputable sources. If you’re fond of watching on YouTube, you’ll feel right at home with the site’s web player. The video settings are laid out along the bottom. You can enable or disable subs, seek via the track line, go full screen, change video quality and control the playback speed, among others. During the course of the show you won’t be rudely interrupted with pop ups, annoying ads or redirects to the registration page. There’s virtually zero buffering as long as your internet speed is sufficient; you can choose the default server or take your pick in the list of options. Putlocker is a classic when it comes to watching Hollywood shows without paying a single cent or penny! MovieGo is your go-to platform to watch free streaming movies online, as well as catch up on the latest from subscription-based services like Showtime, Hulu, The CW and Netflix. Have some time to kill and see the latest series everyone’s been talking about? Type in MovieGO’s URL and be prepared to spend hours in free video entertainment. The creators have lined up shows and films along categories such as Genres and its own drop-down menu, in IMAX 3D and movies that are in BluRay or WEB DL quality. Furthermore, MovieGo shines when it comes to viewing TV shows- there’s a whole list of episodes shown along the title for easy navigation. Users can access the episode list anytime you like. MovieGo has a nice array of viewing options in its native video player. You can set video quality from 360p to 720 (depending on your bandwidth speed and screen size), enable closed captioning and even change the audio to common spoken languages. Users can cast the streaming content to a compatible Chromecast-enabled monitor or TV for a theater-like experience. The flash content atop the main page adds a nice touch if you’re looking for new shows or popular videos to watch. 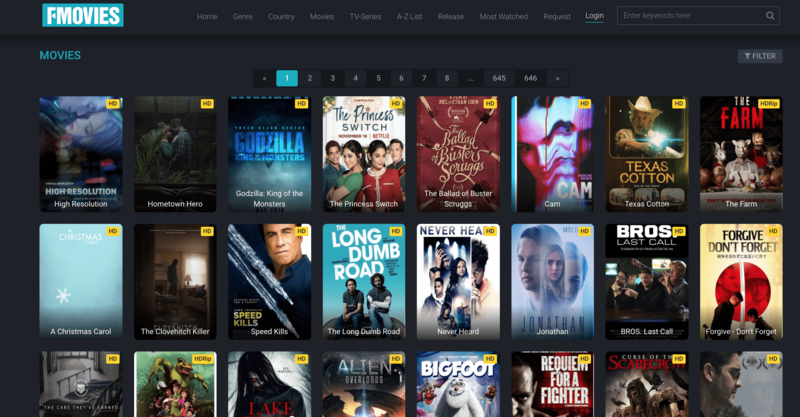 SeeHD earns the distinction of being in the top 10 best free movie streaming sites 2019 as it offers a few unique features for its users. Aside from being accessible for those who are using their mobile phones, the site makes sure your visit is pleasant and hassle-free without any signing up or registration required. As soon as you go to the main page you’ll see all content arranged Alphabetically, in Years, Genres or in the Recommended section. You can navigate between them quickly with just one or two clicks or taps in your mobile screen. Once you’ve made your choice, the native web player shows up and displays the film. Users will be happy to know that the video player is large by default with options to go into full screen anytime they like. You can toggle from video quality and server in just one or two clicks and change the audio setting to one that you like. Afterwards, you can continue watching Related Movies or go back to the main page and browse the latest titles. Each click in the free movie site may have a pop-up, but all in all there’s very minimal disruption, especially if you’re already watching the movie. Still, nothing beats getting access to all the latest movies and TV shows, and watch full movies online for free no sign up needed nor monthly subscription fee to worry about. 123Movies is a fun, themed site that caters to those who want to stream new movies online free with no sign-up required. 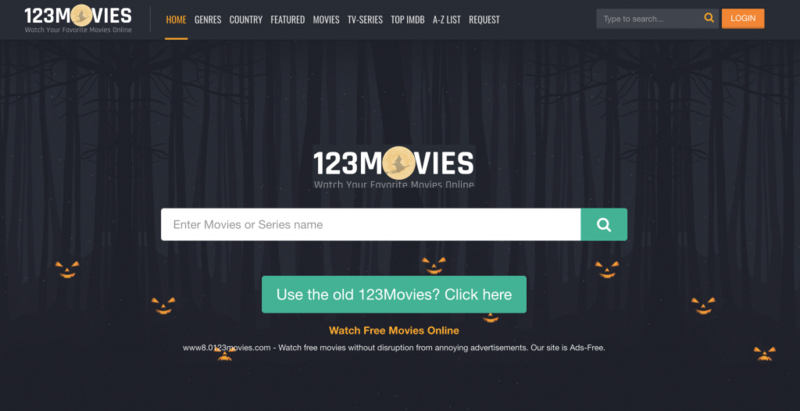 The name of the website itself is catchy and easy to remember, which gives you more reasons to bookmark 123Movies and visit it often. The web owners are quite active and constantly put up new content as it appears on theaters and TV service providers. And speaking of themes, you can enjoy the ones they dress up the site with on major holidays- Halloween, Christmas and others. Browsing on 123Movies is easy. 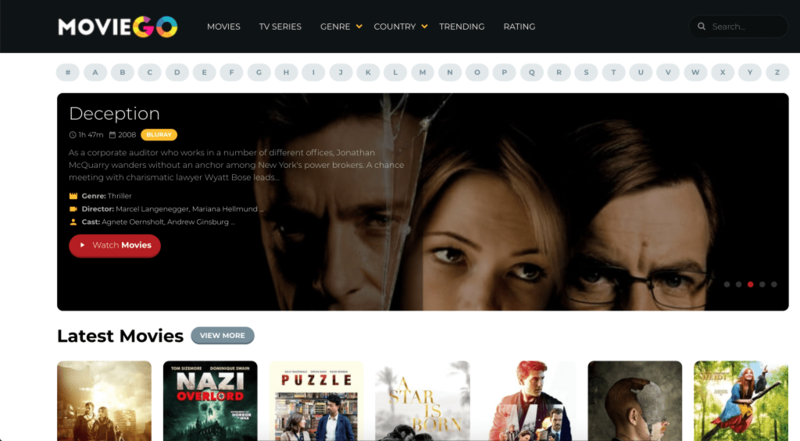 It has the same layout as the popular free movie sites, including sections that you’ll be most likely familiar with (TV Series, Movies, Featured, Top, Country, Genres, etc.) If you already have a new movie in mind, you can type that in the Search and it will come up if available. Longtime fans of the platform will be pleased to know that they can access the old layout and be presented with the familiar menu they know and love. The web player churns out movies and TV shows at an acceptable rate. Binge-watchers will love the playback speed option, which goes up to 2x and the ability to turn on closed captioning and subtitles. Stressed out at the end of the day and just want to concentrate on watching free movies? Switch the Off Light, set it to full screen and pump up the volume for total immersion. Don’t forget to post some helpful comments for those who are yet to watch the film or the show. DeepMovie specializes in offering free movies you can stream using your mobile phone, laptop or computer. You can choose from a huge variety of classics and up-and-coming Hollywood hits in high resolution. There are Asian, New Release and unique varieties that provide entertainment without ever needing to sign up. The site has a built-in Google search field that gives you the results you need quickly. If you’re not looking for something in particular, you can see what tickles your fancy by browsing on Most Viewed, Favorited, Recommended and Suggestions, as well as Genre, Year and Country. As one of the longest-running free movie streaming platforms out there, you can expect a huge library of content to choose from. You can do a search of all the films written by renowned author Stephen King or line up a string of feel-good holiday movies to get into a festive mood. Deep Movie even has some of its content in full HD resolution, which means you can get quality that’s par with subscription streaming giants like CBS, Netflix and Amazon Prime. You have the option to cast the content to a smart TV or toggle the full screen switch to maximize your screen size and the viewing experience. Don’t forget to bookmark DeepMovie if you’re following an Asian TV series or looking for the best Hollywood movies in full HD. Visit the site often and you’ll be treated to amazing, quality movies as soon as they come out in theaters! Watch free streaming movies online without the sign ups and without paying for them. As someone famously once said, the best things in life are free, and that includes streaming the latest movies on your mobile phone or computer. Disclaimer: The websites listed above host copyrighted films at their own risk. We do not support these sites in any form. The list of top 10 free movie sites mentioned here are for educational purposes only and not for promotional reasons.